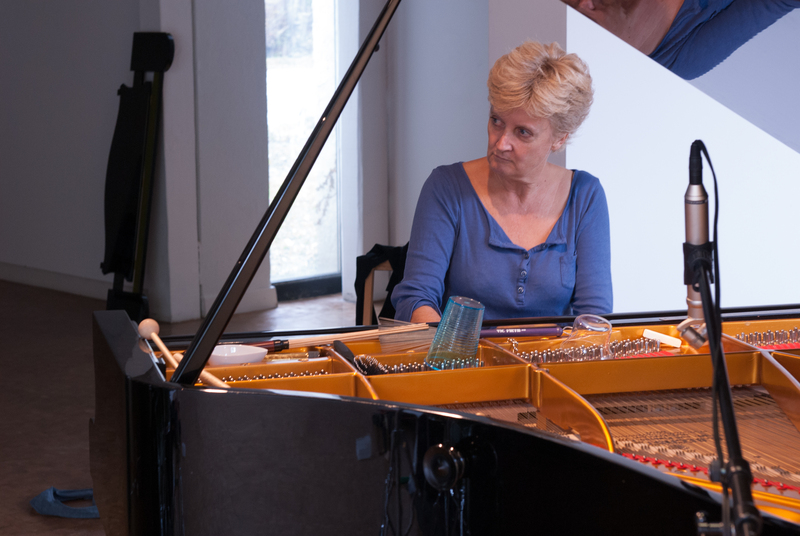 Equinoxe gardens project, first of a composition series in connection with South Africa, is born thanks to the meeting in Johannesburg between pianist Jill Richards and composer, musician Christophe Fellay. 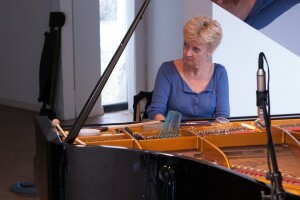 Jill Richards, one of the most acclamed contemporary pianists of South Africa interprets Christophe Fellay’s compositions while participating in the audio experience born of the dialogue between a piano and a drum kit. This research leads to a round trip between improvisation, contemporary music writing and sounds of today’s Africa, urban and rapidly changing, inspired by the theme of the equinoxes. The elements that form the day, night, time, durations, the passage of one luminosity to another, are being implemented in the compositions and the relationship between the pianist and percussionist. A magical and mesmerizing journey, a fascinating concert. During the Equinox, the day and the night divide exactly the two hemispheres. From the north pole to the south pole all the Earth points on a same Meridian, simultaneously receive the sunlight during the day. Jardins d’équinoxe, premier projet d’une série en lien avec l’Afrique du Sud, est né de la rencontre à Johannesburg entre la pianiste Jill Richards et le compositeur et musicien Christophe Fellay. Jill Richards, l’une des pianistes contemporaines les plus réputées d’Afrique du Sud, interprète les compositions de Christophe Fellay tout en participant à l’expérience sonore qui naît du dialogue entre un piano et une batterie. Cette recherche donne lieu à un aller-retour entre improvisation, écriture contemporaine et sonorités d’une Afrique d’aujourd’hui, urbaine et en pleine mutation, sur la thématique des équinoxes. Les éléments qui composent le jour, la nuit, le temps, les durées, le passage d’une luminosité à une autre, sont mis en oeuvre dans les compositions et dans la relation entre la pianiste et le percussionniste. Un voyage magique et envoûtant, un concert fascinant. Lors de l’équinoxe, le jour et la nuit divisent exactement les deux hémisphères. Du pôle nord au pôle sud tous les points de la terre situés sur un même méridien, reçoivent simultanément la lumière du soleil durant la journée. Jill Richards is a South African pianist specialising in new music. Versatile and dynamic, her interests range from Bach to free improvisation. Her career includes collaborations with numerous composers around the world. She has a longstanding working relationship with Kevin Volans who has written many solo works and piano duos for her. These she has performed with the composer as partner. Jill has worked with Jörg Schäffer, François Sarhan, Rudiger Meyer, Michael Blake, and many others. Her collaboration with Philip Miller has been extensive, touring with of live performances of his music to artist William Kentridge's films; including the Kentridge festival "Playing on Image" in Johannesburg. Jill improvises with sound artist João Orecchia, composer-percussionist Lukas Ligeti and visual artist Marcus Neustetter (including a very successful series of performances last year). She also worked with the late Zim Ngqawana. 2013 will include collaborations with composer-drummer Christophe Fellay, sound artist Francisco Lopez, as well as teaching with dancer Esther Haeusler at the Zurich University of the Arts. She has performed and been broadcast in the UK, Europe, North America and Australasia. Among these were the BBC broadcasts of the premières of solo and duo works of Kevin Volans. She has released five CD's, including the Grammy-nominated "Cicada" of Volans, as well as the complete piano music of Michael Blake. Jill is a also a founder of SoundMindLab, a Johannesburg-based project which will provide a regular platform for innovative contemporary, electronic and experimental music and contemporary sonic and interdisciplinary practice.